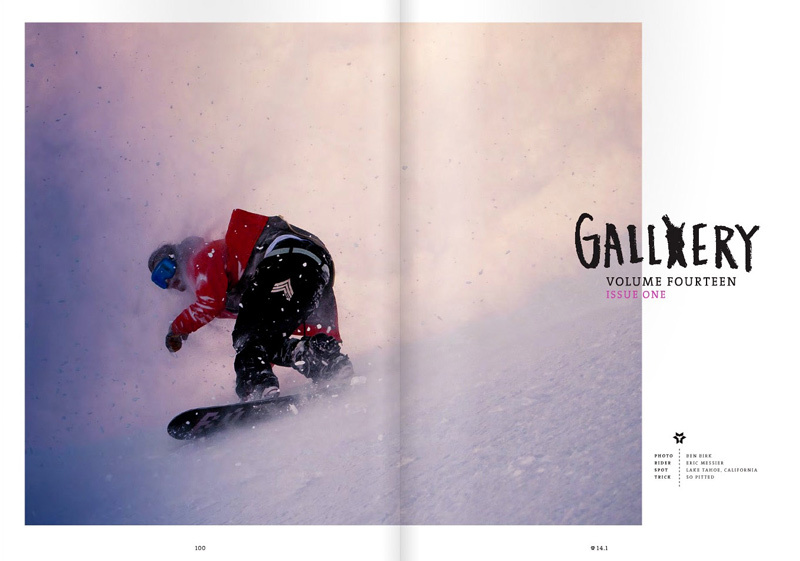 My photo of Eric Messier snagged the opening gallery spread for Method Magazine issue 14.1. I shot this photograph while shooting with Eric and the Warp Wave crew on Mt. Rose early last season. It was near the end of the day and everyone was getting fairly tired. Eric thought it would be cool to get a slash photo so we hiked up the hill for one more run. This frame is near the end of the sequence and is him riding out of the white room snow he had tossed up. Thank you to Method Magazine and Eric Messier. You can read a copy of the magazine here www.methodmag.com/content/141 and don’t forget to Keep up with Eric and his friends by following their adventures on www.warp-wave.com and www.sierrasurfer.tumblr.com.